Introduction: The Clone Turbo Tank is a monster of a vehicle. This giant tank has a total of 10 wheels and is not to be reckoned with. The Turbo Tank can hold an army of clones and can run over anything in its pass. Hasbro did a great job with building this Tank and giving collectors something add to the collection of giant vehicles. 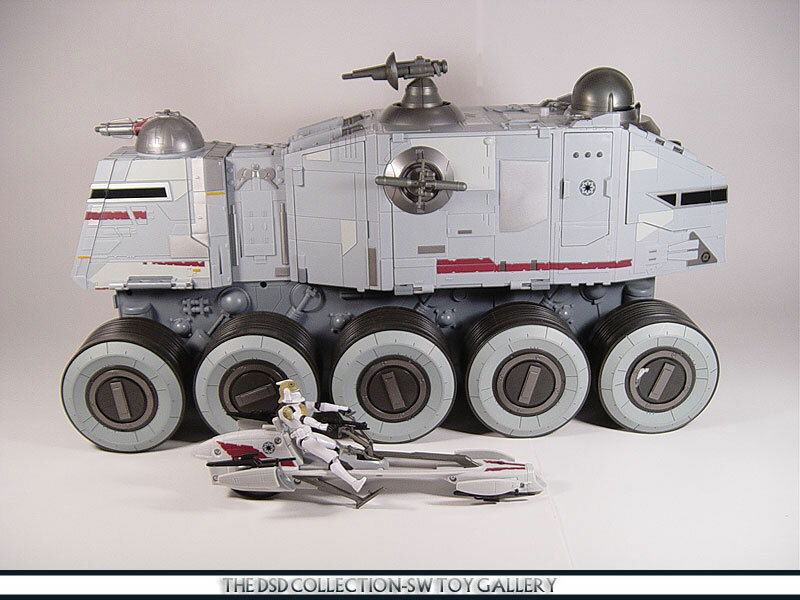 Big playset/vehicl...e toys are always welcome so lets see more, Hasbro! My Opinion: Personally at $100 I had to pass on this Tank at the time of its release. Eventually ToysRus had a 50% off so I had to get one then since that is a bargain that probably would never happen again. So technically, mine was a birthday present from my wife since I had to talk her into spending her money on it since I didn't even have the 50% price. Thanks hunny! This toy explains itself so there really is no need for me to give a written review. Just get one of these and add it to your collection even if you have to dish out a little more for being late on picking one up. I believe any price is worth getting one. "The Republic’s Clone Turbo Tank is bristling with weapons and covered with thick armor. This ten-wheel titan plows through every obstacle in its path. Clone troopers take aim from laser turrets and missile ports as this heavy assault behemoth crushes anything under its massive wheels. 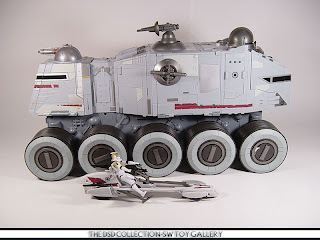 A true mobile fortress, the Clone Turbo Tank can deploy a company of troopers and a full recon speeder team, and also serve as an armored command bunker for extended ground sieges."